For some historians the town's name derives from "coast", and from the German name "Hermann", while for others its origins are to be attributed to the Lombard term "harimann" (in charge of the militia). 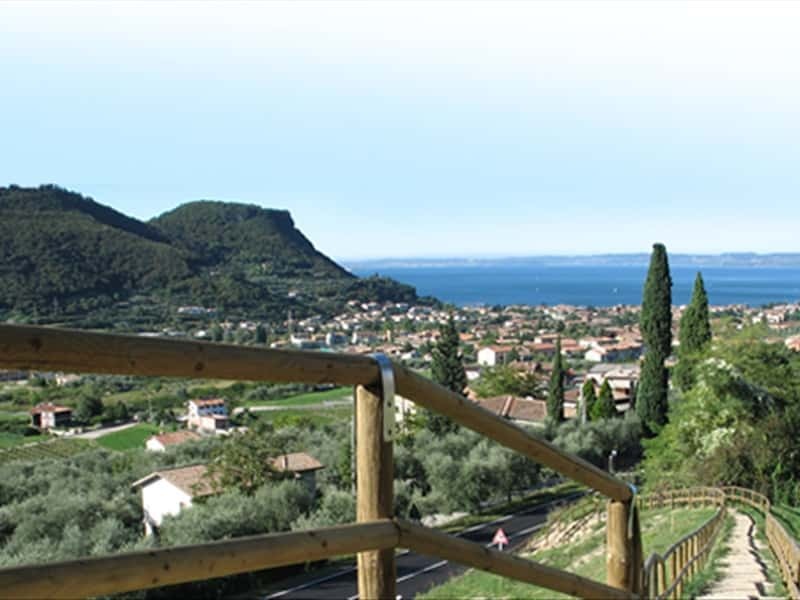 Municipality in the province of Verona, located near Lake Garda, it is the ideal departure point for numerous trails in direct contact with the surrounding environment, passing through forests, mountains and walking along the banks of the lake. The economic development of the center has been greatly influenced by its proximity to the lake. The first traces of a settlements in the area date back to 2000 B.C., certainly the first inhabitants were attracted by the abundance of water here, as evidenced by the remains of a dwelling settlement. Even though colonized by the Romans in the I century B.C., the first documents that report of the existence of a settlement date back to year 1045. After the Romans, the town submitted the domain of Goths, Lombards, Franks and Huns and was scenario of the clashes between the Da Carrara and the Visconti, who fought against the Government of the Lakeside, until 1405, when it became part of the territories governed by the Serenissima Republic of Venice. Subsequently the town submitted the invasion of the troops of Napoleon and shared the same historical events that characterized the entire region. Annexed to the Kingdom of Italy in 1866, it developed and spread out, also thanks to the merge with the other pre-existing centers, such as: Marciaga Albarè and recently Castion Veronese in 1928. - the XIX century Villa Bosco. This town web page has been visited 26,727 times.